Here it is my Halloween cookie blog. 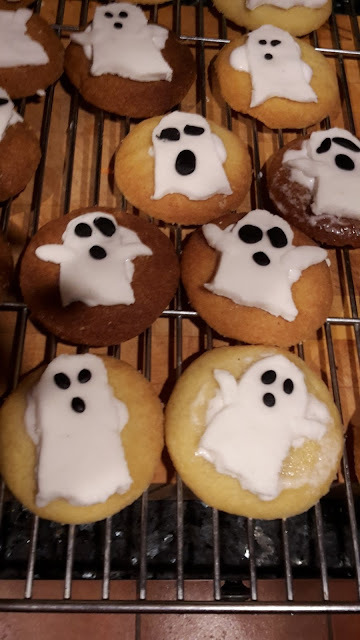 I had planned on shaping the cookies liked ghosts themselves but that didn't go to plan so I've opted to make the ghosts out of Icing. To begin with you mix the Caster Sugar and Butter together till smooth then stir in your sifted plain flour and add your few drops of Vanilla Essence. Now wrap your dough in cling film and chill it in the fridge for 30 minutes. After it has chilled roll your dough into little balls on a greased tray and cook in the oven at 180°C for 12-14 minutes. Once cooked place on a cooling rack till they have cooled. 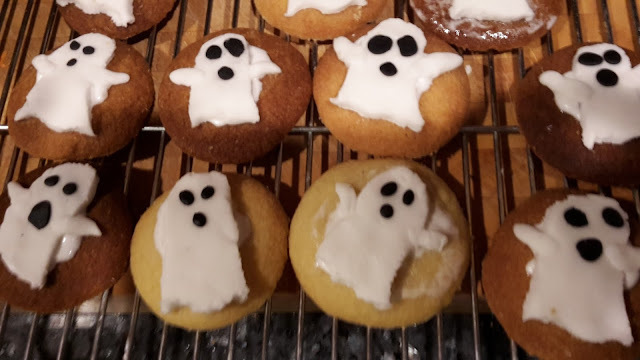 Now it's time for the Icing roll out your white Fondant and cut out your little ghost shapes you can give them arms or leave them without whichever you fancy. Then roll three small black balls of Fondant for each ghost to create the eyes and mouth. 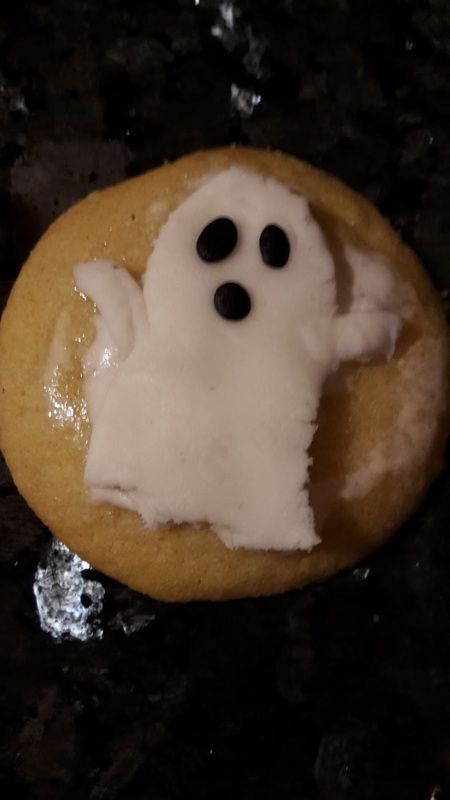 Make up a small amount of royal icing or glace Icing and put a small amount on the cookie and stick on your ghosts. A simple and fun biscuit recipe inspired by Halloween. You can also check out my Halloween cupcake recipe here. 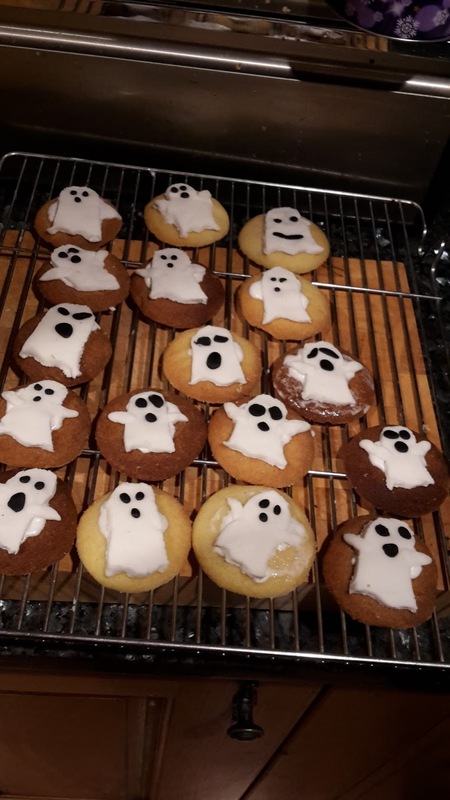 There you have it my Halloween inspired cookies enjoy! I'm sure they wouldn't looks like circles! :') You should do it!